Jonathan is a Board-Certified Family Nurse Practitioner. 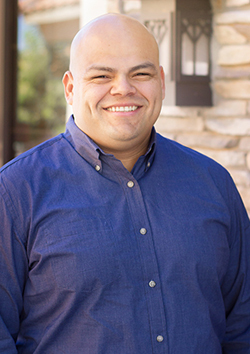 He is a Phoenix native and completed his Nurse Practitioner training at Grand Canyon University. Prior to graduate school, he earned a Bachelor’s of Science in Nursing at Northern Arizona University (NAU). Upon graduation from NAU, he returned to the valley, where he completed the Nurse Residency Program at the Mayo Clinic in Phoenix, AZ. He continued at the Mayo Clinic as a Registered Nurse and gained experience on several different units including Solid Organ Transplant, Intermediate Care, and Intensive Care. As a neurology specialist, he has special interests in headache, dementia, multiple sclerosis, movement disorders, and epilepsy. Jonathan lives in Mesa with his wife and three children. He enjoys traveling, hiking, camping, and cycling. He also enjoys volunteering in the community and has served as a volunteer youth soccer coach and First Aid/CPR instructor for local Boy Scouts of America troops. Jonathan is fluent in English and Spanish.